Guest Post: Productive Procrastination: Try It, You’ll Like It! There are days, maybe weeks, when I don’t have the energy, gumption, or brain power to get anything on my “To Do” list done. The list’s items sit there, begging to get checked off, but I squander my time doing little nothings, trying to ignore them. Net result: I am depressed & berate myself for playing computer games or whatever worthless, unproductive activity I can devise to fill my time while avoiding those pressing errands and jobs. The more time I squander the bluer I become. I rebel against THE LIST. No, I will not wash the car, paint the banisters, or strip the credenza. The grocery shopping can wait, as can the dry cleaning. I simply don’t feel like doing any of those jobs! One day while in the throes of another procrastination crisis, I realized that I could fill some of my wasted hours with smaller, worthwhile jobs, ones I could actually tolerate. Perhaps I could find the energy to put several stitches in that skirt’s ripped hem? Or I might tackle the wardrobe which could do with a mucking out? Small jobs finished would make me seem productive and assuage my guilt. Brilliant! I thought I had discovered a wonderful secret! I called my new secret “Productive Procrastination,” little realizing that I not only did not coin a phrase but that lots of other people had discovered this little trick. No matter, I’m a happy camper knowing that procrastination can be, if not conquered, at least tamed a bit. 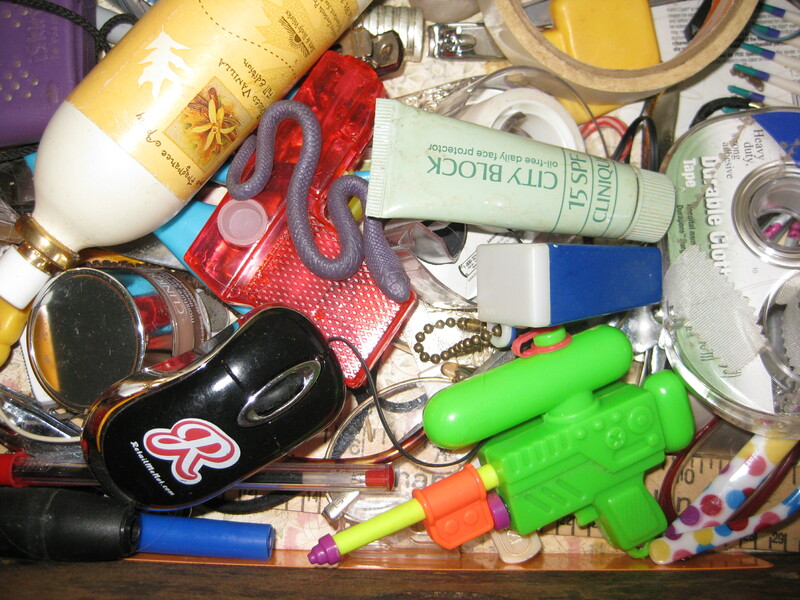 Photo Above: This is my (Barbara’s) junk drawer. I practice Productive Procrastination by straightening it out when I should be clearing the garden, reorganizing years of files, and clearing a path through the spare bedroom. Hmm, looks like my drawer is ready for another round. Photo Below: Susan escaping her “To Do List” this fall in Shelburne, VT.
Isn’t it the truth?! My productive procrastination is rolling coins that have collected in the change cup – one of those large plastic cups from sports events. Not only does it make me feel productive, but I then find I have money to treat me to something special like a milkshake! Sadly, the big chores still need doing, but at least I can do them and look forward to a treat afterward! Smart idea! I usually “reward” myself with a checkmark when I finish a big job. Not much of a reward though. I’ll adopt a better system – that will be a better impetus to getting things done. Thanks! i also get so depressed about the never ending list. and never ending is the key word. because once we finish it….. surely a new one will be written. i have found that crossing off small projects or pieces of a large project can give a sense of accomplishment. even doing a ten minute job before work helps the mood. Barbara was the one who clued me in years ago that procrastination could make people feel depressed. I was stunned but found it’s really true! You are so right about the lists being never ending but that’s a great idea about breaking large projects up. More checkmarks = more smiles! Haha – love the bios and photos, especially the snake. HI SUSAN! I find that nothing is as good for the soul as a little tidying! Hi Kath! You are a natural born “non-procrastinator”! I’m envious. And you are right – a little tidying IS good for the soul. This is exactly what I do! Only I tend to clean when I don’t want to write my paper. My past roommate always knew when something big was due because our entire apartment would be shining. hmm… I think it is about time for another assignment to be due, this house is getting a bit messy. haha. Haha! You’ll be glad after the paper is due b/c your house will be shiny bright! I think Susan has very valid points and I have helped her procrastinate for years! Some stuff doesn’t deserve the respect of your valuable time. What I don’t understand is why chores seem to be such an energy sink. They have no right!!! Then I go into the guest room and realize that somebody else left chores for me to do…. hmm… now that’s not fair! Men-o-pause? Hmmm… new definition! Guess what, it’s not ALL our list of chores. Haha! 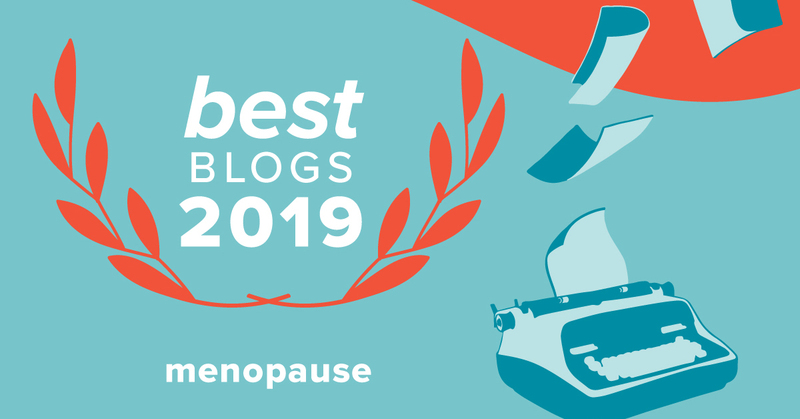 That’s great – “men-o-pause”! Too right! I did three chores for my husband just yesterday! I’m calling a strike! I’m a huge procrastinator, especially after working for 9 hours. I can’t do ANYTHING when I get home and the laundry always piles up! As a life-long procrastinator I am fully qualified to discuss this subject – especially when I am putting off painting the trim in the master bedroom. But a couple things I have learned over the years. One is to break down a large job into segments (like the trim in the bedroom – am doing it wall by wall so it isn’t so overwhelming). Secondly, there are days when I put the list aside and just do what I want to do – am amazed at the end of the day how much I have accomplished. And when all else fails, I redo the to-do list! What a great feeling to realize many of the tasks can be checked off – either I don’t think they are worth doing any more or they have been resolved without me lifting a finger. Ah, the games we procrastinators play. This is certainly not a menopause problem and certainly not a limited to women problem. It’s a human problem, but maybe a bigger issue in the US than elsewhere. After all, the Irish are at their pubs, the French are at their cafes and the Mexicans at their siestas. Here, we’re trying to figure out how to get 1, 2 and 3 done before bedtime 🙂 For me, it comes down to having too much to do in a limited amount of daily time. Too many To Dos and it never lets up. Something’s got to give. Productive procrastination is one solution but to me it merely papers over the problem because you may accomplish something and it may make you feel good but is it an important — high priority — task to complete or merely busy work? Breaking down big jobs into smaller pieces is an essential part of being more productive, but I’d argue that prioritization is the most important step. Prioritization forces you to choose among all the items that call for your attention and eliminate several that you may decide just don’t need doing (mucking out that wardrobe maybe can wait to 2012 if it needs to be done at all). Prioritization may also let you see that you’re hopelessly over committed and let you gracefully renegotiate deadlines with boss, spouse, friends or children instead of dropping too many juggled balls. Be ruthless about lowering the priority of tasks that really don’t need to be completed or completed anytime soon. One other technique that helps me is to budget some time each and every day to making progress on a bigger task. For example, “After dinner each evening I’ll work 1/2 hour on preparing my income tax.” I may not work that 1/2 hour each and every day but getting it done 5 of 7 days is still measurable progress. Another is not scheduling too much “play” time on the weekends. If I limit fun activities to 8 hours maximum on the weekend then there is time to achieve some productive check-offs then too. I don’t always follow my own advice (the World Series beckons 30 minutes from now and Barb always says I get nothing accomplished) but it is better to check off meaningful accomplishments (or steps) of important tasks then it is to fool ourselves by checking off work better left forever undone. Good points, Cliff. However, at our house we have a choice – do it yourself or it doesn’t get done. Yep, the wardrobe has waited many years for even a small re-arranging, much less a mucking out, and it can keep waiting. My staircase has been waiting to be stripped for an embarrassing amount of time! But I still put it on my To Do List b/c it still really needs to get done. I know I should just get to it but it’s so easy to put off! Mucking out the wardrobe, an infinitely smaller job, looks very appealing compared to stripping the staircase. Maybe I just need to win the lottery and pay people to do stuff! Good luck with your projects! I’m sure a beautiful house is a joy for everyone who enters, but Linda and I like the assertion that “a clean house is a sign of a wasted life”. There are books waiting to be read and walks to be taken. All this coming from a world class procrastinator when it comes to painful tasks, of course. My mom used to say, “It’s always a waste to stay home and clean” when I’d tell her I was debating between cleaning and going on a fun shopping trip. 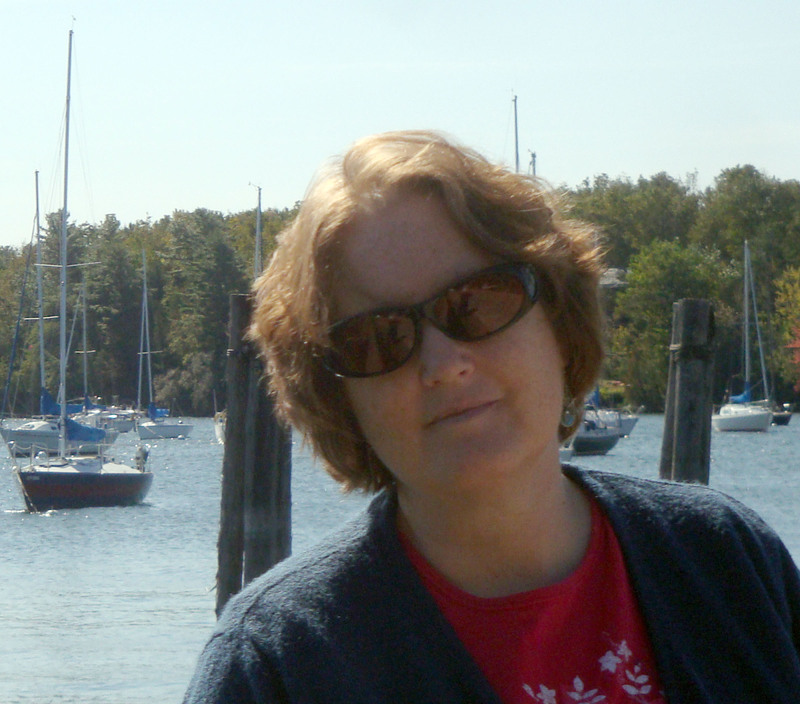 Thanks for checking out the blog and Susan’s first guest post! i say we all move to france!! une chocolat chaud s’il vous plait…..avec le croissant…..
Mais oui! Quand allons nous? Demain? I’ve just added “Learn French” to my To Do list (but priority: extra low). Defnitely avec le croissant! Make mine chocolate! Chris, I love it! “A clean house is a sign of a wasted life” I’d embroider it and put it on the wall but that sounds like too much work. Thanks, I’ll remember that – my new motto! Well, I’ll bet you’re a lot of fun…squirt gun.